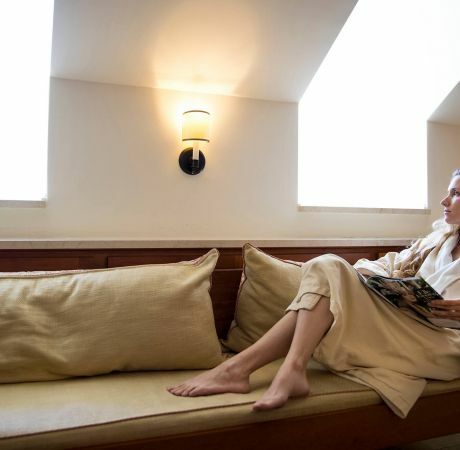 Treat both your mind and body to a rejuvenating experience at The Spa at Colonial Williamsburg. It all begins in calm surroundings that exude classic elegance. 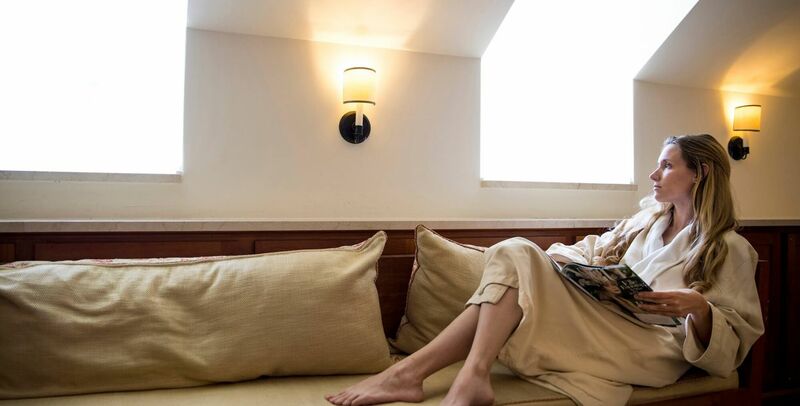 Soak in our serene décor and enjoy thoughtful amenities designed to prepare you for rejuvenation. As a guest you’ll be treated to premium amenities including robe, slippers, private locker, shower and vanity products. Enjoy specially-priced spa treatments and 15% off all spa boutique purchases. Sale excludes the following dates April 19 – 21, 26 and 28.
smooth. As your body is cocooned, we turn our care to your face and décolleté. Master Estheticians will perform our premier natural anti-aging facial-ultrasonic and micro-current technologies combine to gently exfoliate and rehydrate the skin. You will see a reduction in fine lines and wrinkles and notice plumper, younger-looking, more radiant skin. Enjoy a sampling of different massage styles including hot stones, Swedish and sports, as well as signature aromatherapy oils. Pressure is personalized to meet your needs. This deep-tissue massage incorporates the anti-inflammatory benefits of arnica to soothe tired or over-used muscles. Perfect for athletes after golf games or tennis matches. Served with our Muscle and Joint Elixir. Heated river stones glide over your body to deeply relax your muscles and melt away stress. Pressure modified to your personal preference. 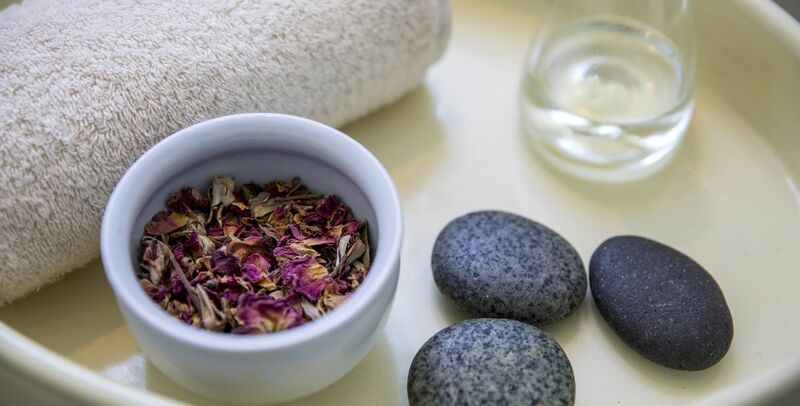 In this popular, pure, and soothing massage, our therapist uses fragrance-free oil and light pressure to relax your body and sooth your spirit. This nurturing, light massage gently soothes tender muscles of the mother-to-be. Special attention is given to the comfort of the mother and baby during this relaxing experience. Recommended for second and third trimesters. relieve computer fatigue. Served with our Mood-lift Tonic. Select between several blends of rich and nourishing oils to enhance and personalize your massage experience. Aromatherapy blends include balance, rest, and renew. A clean, refreshing scrub with calming oils of lavender and lemongrass and a gentle exfoliant will leave your skin soft and vibrant. Our naturally fragrant orange and ginger scrub will gently exfoliate the skin and leave you fresh and revitalized. After a dry-brushing exfoliation of the skin, a warm seaweed mask rich in nutrients is applied to naturally detoxify your body. A head and neck massage, and a relaxing foot treatment make this service very popular. circulation and see reduction of cellulite. A rich and moisturizing Sicilian and Bergamot lotion will complete your experience. Add a bath to any massage or body treatment for a perfect way to relax. In a private setting, step into one of our exceptional baths designed especially for you. Exquisite oils and specialty recipes are added for a perfect combination. 30 Minutes: $95 Choice of Sports Recovery Soak, Sweet Birch Magnesium Flakes or Colonial Bath Experience. Repair the effects of sun damage and premature aging with potent anti-oxidants and corrective botanical extracts. Argan oil nourishes the skin, peptides stimulate collagen, and vitamin C helps to firm, brighten, and dramatically reduce the appearance of fine lines and wrinkles. Improve skin clarity, reduce blemishes and soothe inflammation with a powerful blend of exfoliating pumpkin enzymes and moss extract for deeper cleansing. Anti-inflammatory alpine willow and rosemary promote healing and control sebum for balanced, clear skin. Identify your Skin Personality: Adaptive, Hormone Reactive, Stress Reactive or Mature. 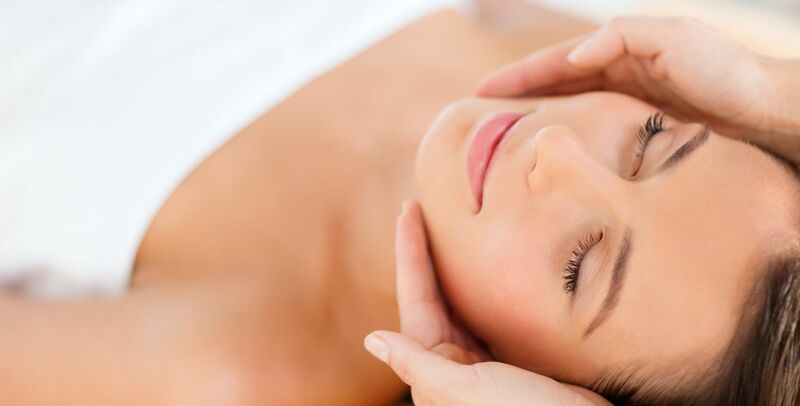 Experience a customized facial with detoxifying lymphatic brushing, relaxing aromatherapy massage and targeted active ingredients, from plant stem cells to peptides. sensitive, dry, and irritated skin. This ultra-hydrating facial gives your skin an instantly plumped, smoother appearance. 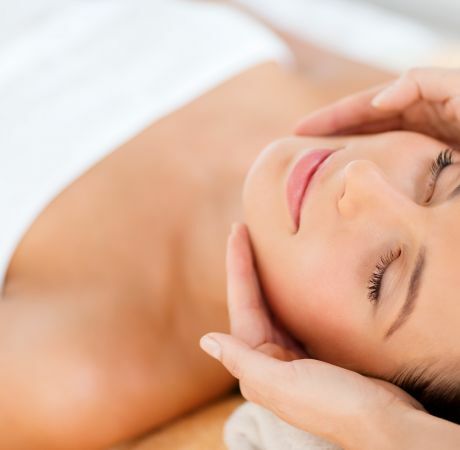 This facial includes a DermaFlash exfoliation and a Retinol peel. Not recommended during pregnancy. Start your treatment with an in-depth consultation, diving into diet, gut health, stress level and skin care regimen to identify your distinctive Skin Personality. 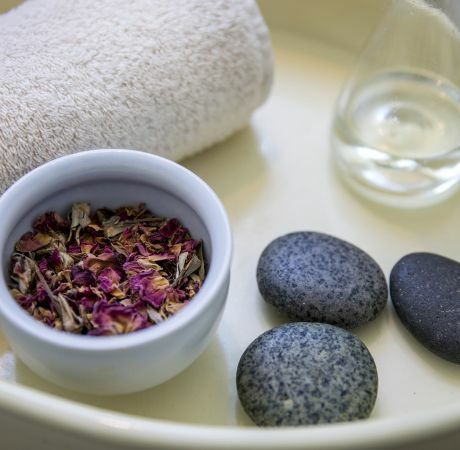 Next, experience a customized facial with detoxifying lymphatic brushing, relaxing aromatherapy massage and targeted active ingredients, from plant stem cells to peptides. Leave with a holistic prescription of skin care, beauty foods, herbal remedies and well-being rituals to deliver true and lasting results. Supercharge your skin. Regenerate luminosity with potent vitamin C—nature’s most powerful and proven skin brightening agent. This treatment helps correct sun damage for firmer and more lumious skin. This treatment includes an Alpha-Beta Peel. This anti-aging facial helps repair signs of aging, sun damage, fades dark spots, and reduces the appearance of pores. This treatment incudes a clinical strength Retinol peel. This deeply moisturizing treatment is designed to gently exfoliate dry, flaky skin and leave lips smooth and supple. This powerful exfoliating treatment is specifically formulated to promote cellular renewal, improve skin texture, diminish blemishes, and brighten the complexion. A luxurious treatment featuring a powerful blend of antioxidants to help boost skin’s radiance and reduce signs of aging for a firm, bright, and rejuvenated décolleté. This revolutionary, exfoliating facial device, painlessly removes dead skin cells, built up debris, and pesky peach fuzz. Results are immediate. Smooth, radiant, touchable skin is instantly revealed. Receive the benefits of the Rejuvenation Hydration treatment with the addition of Atoxelene. The eye contour area is immediately smoothed and lips are plumped and hydrated. Using Vitamin C and natural plant lightening extracts, this treatment balances uneven skin tones and leaves skin vibrant. The Enhanced Oxygen Facial combines our 60-minute Intraceuticals facial with your choice of one Intraceuticals Enhancements to boost your facial experience. $25 Each *Available in addition to existing service times. Using customized Colonial herbs and nourishing oils, create your own apothecary treatment. Includes warm essential oils, nail care, and polish. Enjoy our unique lavender-lemongrass products in this signature service. Includes nail care, nourishing essential oils, and polish. Our staff will select the finest ingredients to prepare your hands for each season’s unique needs. Includes nail care and polish. Anti-aging enzymes make your hands look and feel younger, softer, and more vibrant. Nail care and polish included. applied to soften the heels and toes, and to refresh your legs. Includes nail care and polish. Remove old polish, new nail care and polish. Select between several blends of rich and nourishing oils to enhance and personalize your massage experience. Aromatherapy blends include Purifying, Centering, and Grounding. A clean, refreshing scrub with calming oils of lavender and lemongrass and a gentle exfoliant, followed by a relaxing Williamsburg Classic Massage. Our naturally fragrant orange and ginger scrub will gently exfoliate your skin and leave you feeling nourished and soft. Followed by a relaxing Williamsburg Classic Massage. Deep-cleaning facial designed for a man’s skin. Steamed towels combined with pure plant-based products ensure visible results and deep relaxation. Enjoy an Arnica Deep Massage or Nirvana Massage with a Men’s Rebalancing Facial and Men’s Fitness Pedicure. compress to soothe and soften the skin, followed by a scrub to polish well-worked hands. Your nails will be expertly groomed and a full arm and hand massage completes the treatment. and lower leg massage complete this treatment. 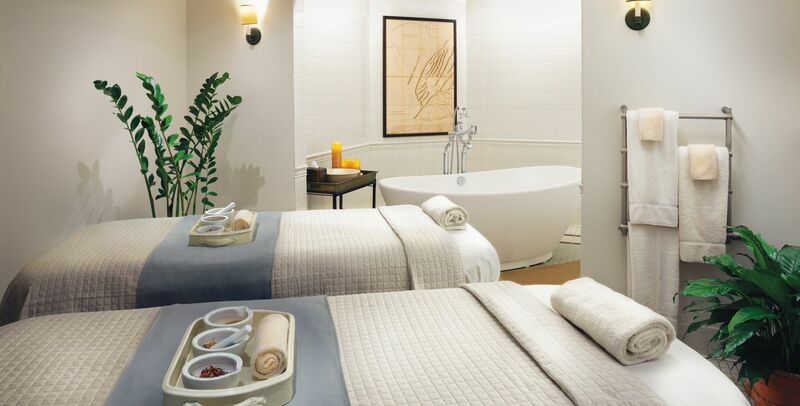 4.5 Hours: $389 Upgrade with a signature manicure and pedicure. Lunch from our spa cuisine menu is available. Enjoy a Lavender-Lemongrass Scrub and Massage and finish with a Sooth & Restore Facial. You’ll both enjoy our Williamsburg Classic Massage combined with our signature Lavender-Lemongrass Manicure for the finishing touch. 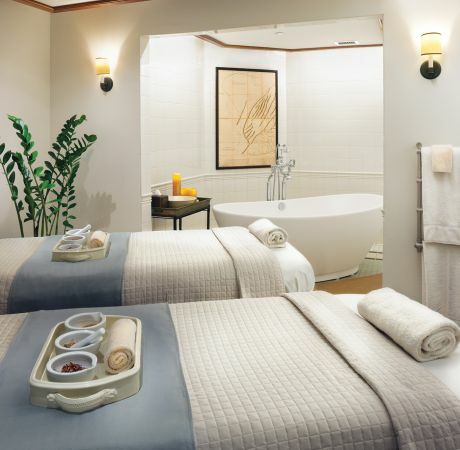 2 Hours: $330 for two Upgrade to side-by-side massages and pedicures. Start your spa’rty off right. Enjoy a selection of various fitness classes including yoga, pilates, boot camp, and more. Upgrade your spa’rty package to enjoy our fitness center and pool. trainers to complement your massage. Packages available. Please contact our membership office at 757.565.8474. Feel rejuvenated with daily classes ranging from high-intensity intervals to relaxing meditation, or customize your workout with personal training options. Guests of Colonial Williamsburg hotels have access to both an indoor and outdoor pool, along with spacious locker room facilities. The Spa at Colonial Williamsburg is the ultimate venue for your bridal party, bachelorette, as well as corporate, charitable or private events. Invite guests for cocktails and hors d’oeuvres, followed by full spa and salon treatments. Transform our Spa into a private event space for a day of memorable indulgence. It is our passion to meet your every need and expectation. Your walk down the aisle begins at The Spa at Colonial Williamsburg. Allow our experts to lavish you and your bridal party from head to toe. 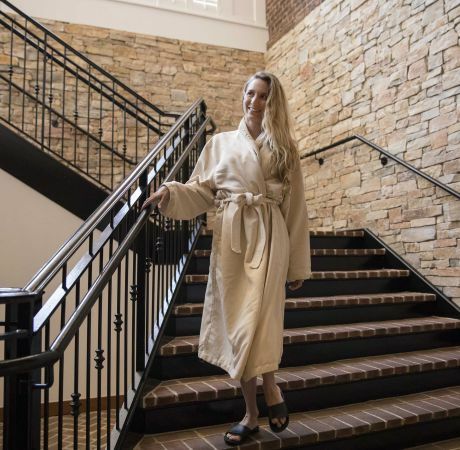 An innovative approach to work and wellness, The Spa at Colonial Williamsburg seeks to achieve immediate, yet lasting results, empowering attendees to lead healthier and happier lives, both professionally and personally. Make wellness a daily ritual. Experience all the services of The Spa of Colonial Williamsburg on your own schedule with a wellness membership. Enjoy access to state-of- the-art- equipment, indoor and outdoor pools, and much more. 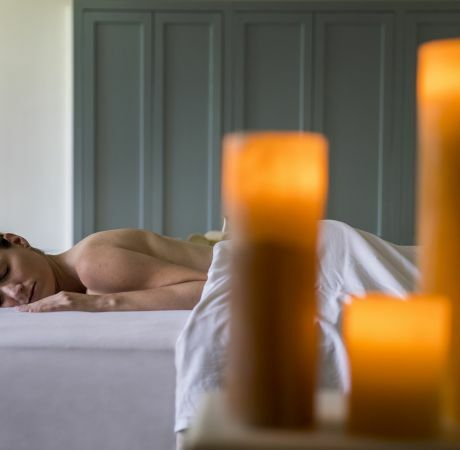 Allow us to guide you in your journey toward mind and body wellness through our century-inspired spa experiences from facials to massages and body treatments – we offer something to everyone. In search of something special for your event or celebration? Our salon offers personalized services from full cut and color, to formal up do’s, to quick touch ups. What is a Spa’rty? It’s a group of five or more people celebrating a special occasion or simply enjoying our spa and all of its amenities—with the benefit of receiving exceptional rates! Hit the ground running—or stroll if that’s more your style. Visit must-see sites and create a custom-made experience that is perfect for you.